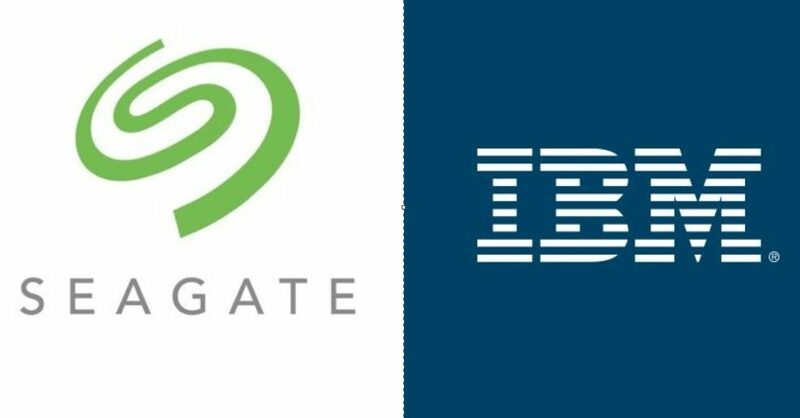 According to a press release on Thursday, Seagate are collaborating with IBM in order to combat the counterfeiting of their products using blockchain technology. The project is designed to assist the hard drive manufacturer and it’s business partners rid the scourge of counterfeiting using the IBM Blockchain Platform to authenticate the provenance of it’s products. In this way, it’s bringing a new level of multi-layered security protection to the data storage device industry. Global trade in pirated electronic products has reached a level of $1.7 trillion in value. It’s against that backdrop that has given Seagate the motivation to tackle the problem. In order to certify the authenticity of a product, it will write the product authentication data – based on their own proprietary Seagate Secure™ Electronic ID (eID) – to the IBM blockchain platform on the IBM Cloud, immediately upon manufacture of each device. The unique identifier serves as an electronic fingerprint and can be used to authenticate the identity of a device at any point in it’s product life cycle. Incorporated in the solution is Seagate’s Certified Erase cryptographic erasure technology which produces a digital certificate of data purge. This is electronically signed by the device by way of Seagate Secure™ public key infrastructure (PKI). Subsequently, it’s stored on the blockchain with a view towards compliance amidst the emergence of global data privacy laws. IBM’s blockchain platform is based upon Hyperledger Fabric – a distributed ledger technology hosted by the Linux Foundation and contributed to in terms of source code by IBM itself. As a private and permissioned blockchain network, Hyperledger Fabric facilitates network participants in viewing and appending data written to the blockchain according to the level of permission granted to the network user. The system allows vendors, service providers, and consumers to confirm the provenance of the product throughout it’s life-cycle. This facilitates an immutable record with regard to all the milestones reached by the product, from initial stages of production, distribution, sales, customer usage of the product and ultimately end of life. As a direct consequence, the likelihood of data loss is reduced. Equally, there is an expectation of reduced warranty costs. Most importantly, it should directly result in much fewer counterfeit and pirated products on the market. The system should lead to customers having greater peace of mind, secure in the knowledge that the product they’ve purchased is a genuine Seagate product. Due to the technology which Seagate employs, they can also take comfort in the fact that any data on a Seagate hard drive can be securely erased. When it comes to corporate and business customers, this will assist them in terms of adherence to international compliance standards. The intention to extend traceability by way of this blockchain based system to supply chain partners is indicated in the press release. We have seen many blockchain projects opened that implicate supply chain. No doubt, there will be full integration so as there is complete transparency at every stage of the process, from raw materials and components right through to the end product and beyond with warranty, repair and end of life data recorded.